Performers include: Larry Kenney, Bob McFadden, Earl Hammond, Lynne Lipton, Earle Hyman, Peter Newman, Victor Trujillo, Rob Paulsen, Doug Preis, and Gerrianne Raphael. 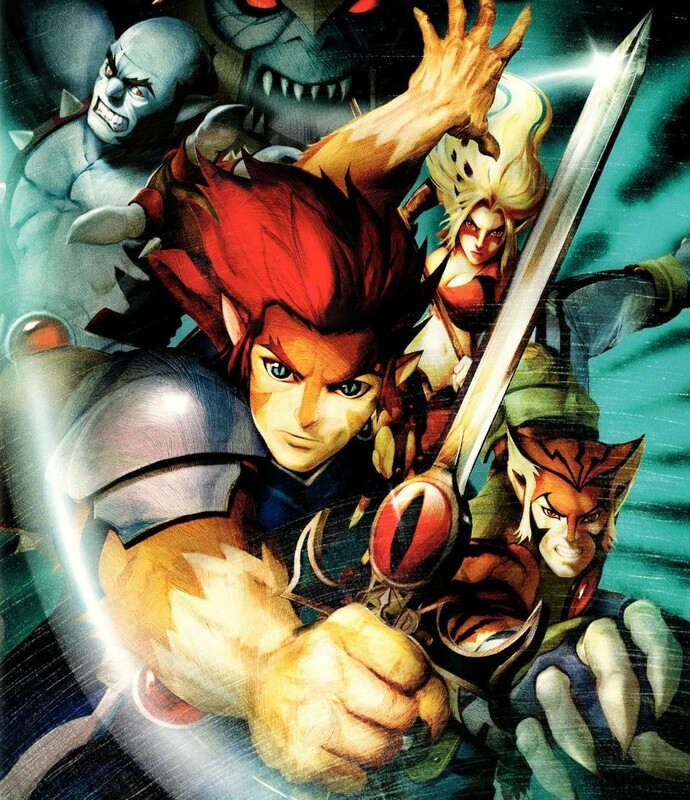 The animated story of the heroic ThunderCats is a mixture of science fiction and fantasy that combines technology, magic and physical combat. The ThunderCats are a team of anthropomorphic heroes who had to quickly flee their dying planet and traveled to Third Earth. Their mission is to protect Lion-O (the young heir to the ThunderCats’ leadership) and the Eye of Thundera (the source of their power) from the evil Mumm-Ra and his minions. New Thundera is being torn apart and the ThunderCats must find the Treasures of Thundera and return them to their rightful locations (once beautiful, now dangerous places). Lion-O must then give the Key of Thundera to the guardian of the book “at the 24th hour” or else the ThunderCats will be frozen in time and New Thundera will be destroyed. Before the mission can be completed, Mumm-Ra steals the book and the key and journeys into the book himself. The Ancient Spirits of Evil try to stop Mumm-Ra because they fear their powers will cease to exist if he succeeds. The ThunderCats run into problems but Lion-O journeys into the book using the Sword of Omens and battles Mumm-Ra, with neither of them using any magic. Despite Mumm-Ra’s cheating, Lion-O still wins. The Ancient Spirits summon their “champion” Pyron to fight Lion-O, but the dragons in the book flame Pyron. Lion-O presents the key and releases the ThunderCat signal, which turns into a black puma. The puma runs to all the ThunderCats, unfreezes them, and restores the dangerous places to their original state. Thundera is finally a comfortable place and our heroes can live happily ever after. 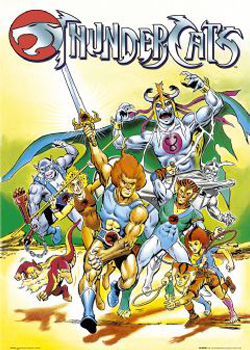 The ThunderCat adventures have continued in a number of comic book series over the years. Some of the ThunderCats appeared in a parody in The Family Guy movie, Stewie Griffin: The Untold Story. Original voices Larry Kenney and Lynne Lipton played Lion-O and Cheetara while Seth MacFarlane voiced Snarf. In June 2007, Warner Bros. announced plans to release a CGI feature film version of the characters. • The first half of the series dealt primarily with Lion-O learning to lead on Third Earth. The second half focused more on the stuggle for power and on returning to the heroes’ reformed home, New Thundera. • Some story details — like the origins of Mumm-Ra and the Eye of Thundera — were never discussed in the series but were covered in later comic books. • Two episodes (“Exodus” and “Unholy Alliance”) aired together as a pilot in the US on January 23, 1985. The regular series airings began on September 11, 1985. ThunderCats: Has the New TV Series Been Cancelled? writer of this movie will not cheese this up. please spare no expences sell your soul buddy.